Coffee Ice Cream is a favorite in our house. In fact, it is the new favorite ice cream recipe flavor! It’s the perfect way to cool down on a hot summer’s day. Sweetened with honey and topped with chocolate chips, it is a winner of a recipe! Ice Cream is always welcome at our house! Vanilla Ice Cream is good. Blueberry Ice Cream is good. But, when you add coffee and make coffee ice cream- now, you’ve got my number! Our family loves ice cream! Especially when it is hot outside but, heat is not mandatory – ice cream is always in style! 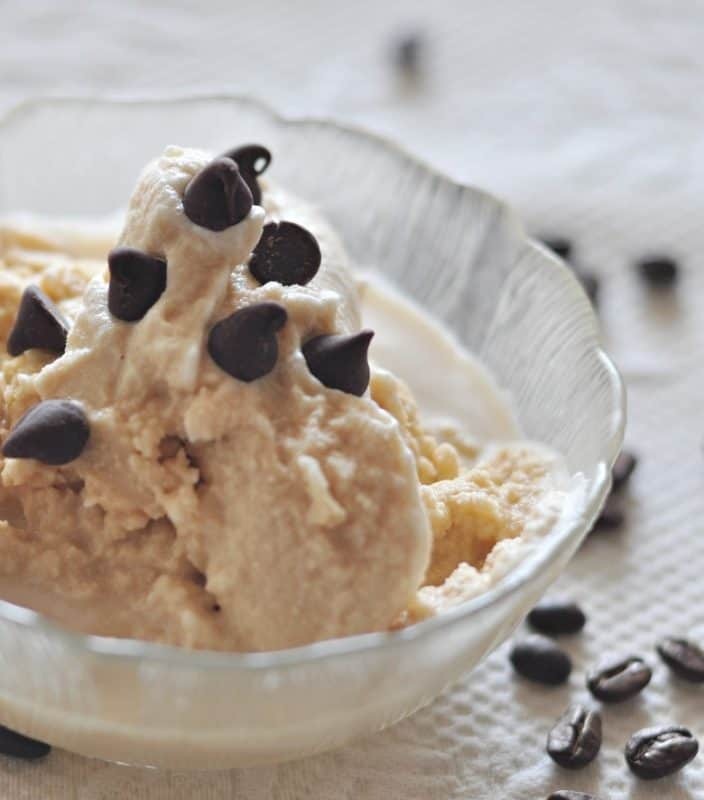 While we enjoy several flavors different ice cream recipes including Vanilla and Blueberry, coffee ice cream is another favorite! 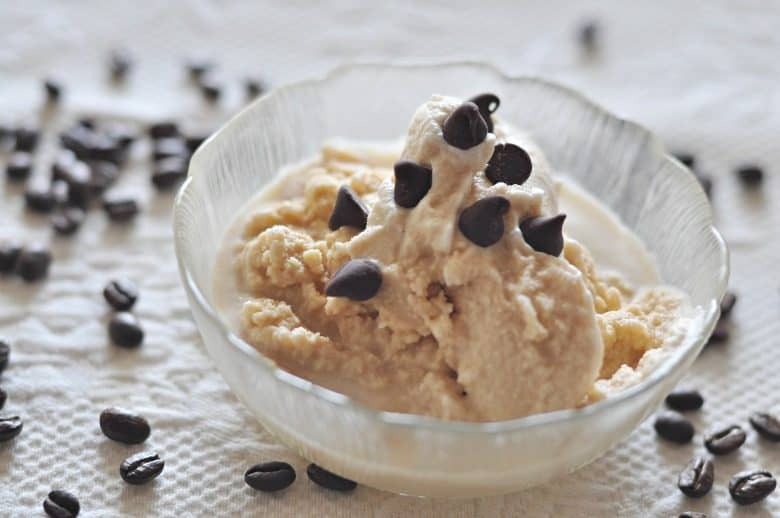 The following coffee ice cream recipe requires a bit more planning since the coffee should be made in time to cool down before adding it to the milk and cream mixture. I have shared before that our family tradition for years had been to have ice cream every Sunday night. Everyone looked forward to it! 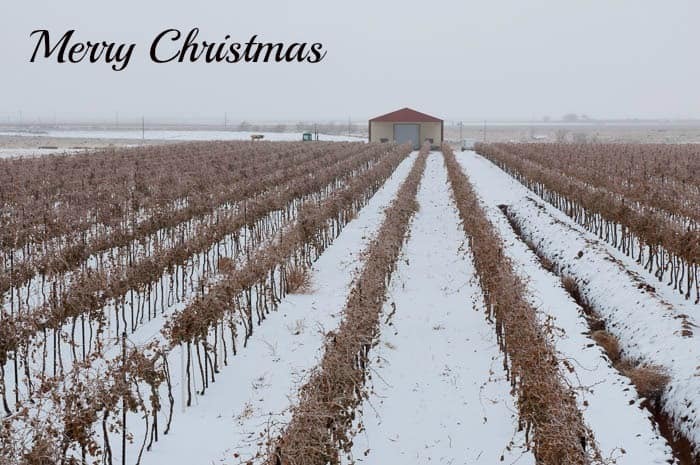 But, after last year’s grape harvest, I bought from my affiliate partner, Amazon, two new Cuisinart Pure Indulgence Ice Cream Makers – each makes 2 quarts of ice cream without ice or salt! There is no mess and ice cream is ready to eat in about 20 minutes! So, now we have ice cream much more frequently! With the heat of summer upon us and working in the vineyard all day, no one has a big appetite at night. So, we normally have a light snack meal – our main meal is midday. It is just too hot (after working in the vineyard all afternoon) to have a big meal in the evening. Of all the snacky nighttime meals we have, ice cream is the favorite! 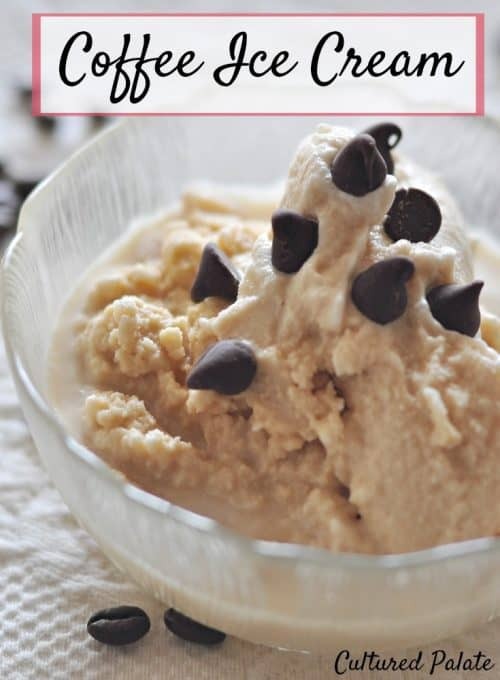 The following ice cream recipe works well for a traditional ice cream maker which uses ice and salt but I use my Cuisinart Pure Indulgence Ice Cream Makers. I just double the recipe to have enough for both makers! I keep the freezer bowls in the freezer so they are ready anytime. When I am ready to make my ice cream recipe or frozen yogurt (like Black Cherry) , I take the bowl out of the freezer, place it in the machine, add the mixing paddle, turn it on and pour in the mix. In 20 minutes, our frozen treat is ready to eat – that’s right, ice cream, without a mess, is ready in about 20 minutes!! It is so easy, even our younger children can do it! I use it much more frequently than I did our old fashioned ice cream maker! 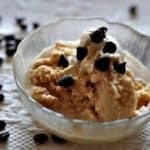 Coffee ice cream - mama can keep this one to herself! Mix all ingredients and stir thoroughly. If using honey, you will need to warm it so it dissolves completely. For the Cuisinart Pure Indulgence Ice Cream Makers , be sure not to fill any higher than 1/2 inch from the top since the volume expands as it mixes and freezes. This recipe yield ice cream which is the consistency of soft serve ice cream - for a more firm consistency, take the ice cream out of the maker and place in the freezer for 20 - 30 minutes. For an added treat, top with chocolate or carob chips. Dina-Marie, thanks for stopping by my blog. this ice cream sounds refreshing! 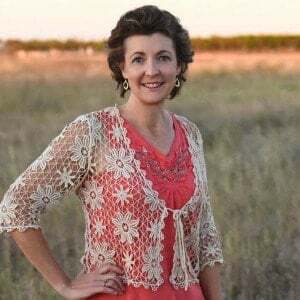 i admire you starting your own business and taking the plunge. we also share a first name and my middle name is mary! My wife and I are coffee addicts. And maybe just a little bit snobbish, but nonetheless we are happier with a frenc press handy. I love the post and this reminds me I need to buy a new ice cream maker. Ashley, that is exactly what I am doing now – Emme’s supply has gone down and I do not have enough to separate so I am using whole milk. The raw milk from a Jersey is high in cream anyway and the ice cream is delicious from it! Mmm this looks to die for especially with chocolate chips on top. I eat ice cream all year round and love making it at home!